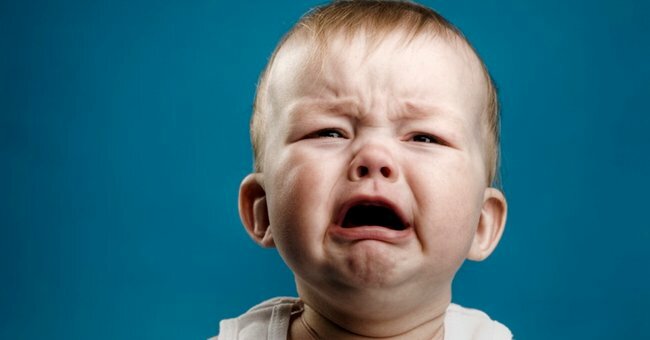 Parents of crying baby gave goodie bags to plane passengers. These flying parents are making the rest of us feel a bit average. 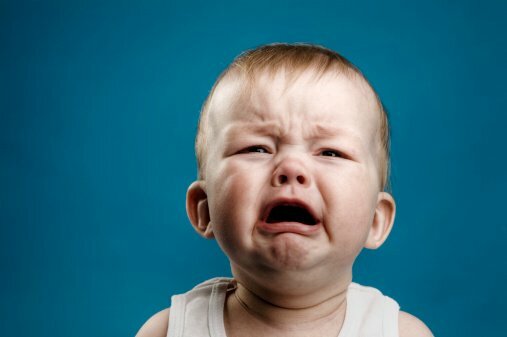 Loud, crying babies are one of the last people anyone wants to sit near on a flight, but for one Redditor, sitting near a baby turned out to be one of the most pleasant surprises of his trip thanks to the little one’s parents’ thoughtful care package. But Chang’s mood was lifted when the baby’s parents began passing out care packages for those sitting around them. The note and care package, posted on Reddit. With mints, chocolates, ear plugs and the sweet note “from” Madeline, Chang said, the atmosphere changed. Sitting next to this guy on a plane is no fun. Especially if you’re his parents. 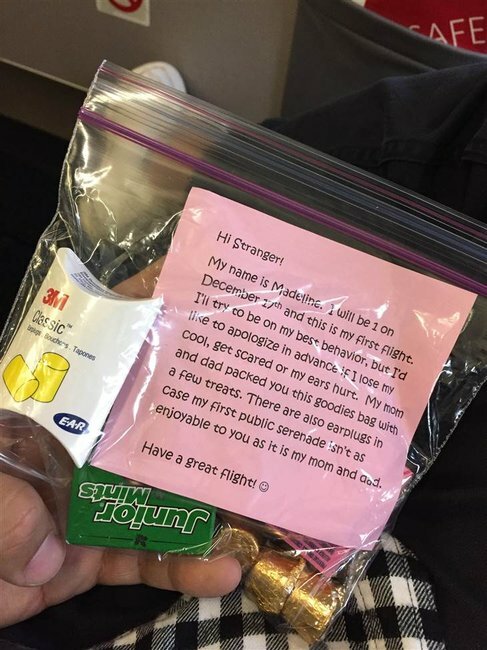 Chang posted the photo to Reddit before takeoff with the caption: “A baby just handed me this on my flight. I ain’t mad.” By the time the plane landed, the photo attracted so many commenters that the post made Reddit’s front page. Before leaving the plane, Chang said he approached the couple to tell them how much he appreciated the gesture, and that his photo of the package on Reddit was getting a lot of comments. This article originally appeared on TODAY.com and has been republished here with full permission.